The Insititute of Psychiatry is today announcing its latest study on the links between cannabis and psychosis – ‘The contribution of cannabis use to variation in the incidence of psychotic disorder across Europe (EU-GEI): a multicentre case-control study’. 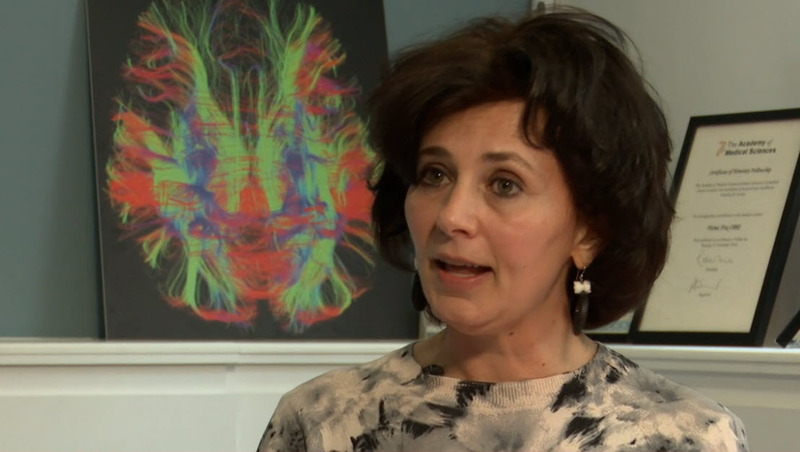 For many years, its leading lights Professor Sir Robin Murray and Dr Marta di Forti have published study after study attempting to show a causal link between cannabis use and psychosis. They have never managed to achieve this and despite concerted efforts, the link cannot be described as anything more than extremely tenuous. The number of people that may be affected is infinitesimally small, while hundreds of millions of people worldwide consume cannabis regularly without any ill effects. This level of risk must be compared with other risks to give it any meaning. For instance, if the risk of a diagnosis of psychosis correlating with cannabis use is 1 in 20,000, the risk of being struck by lightning in one’s lifetime is about 1 in 3,000. This puts the risk into a realistic perspective. It’s also important to understand that this latest study does nothing to show that cannabis actually causes psychosis, only that there is an association or correlation with cannabis use. There may be other correlations which may or may not be much stronger. For instance the populations studied may also use tobacco, drink wine, eat spicy food, live in a city centre or exercise regularly or not at all. Similarly it cannot be shown that any of these factors are the cause of psychosis. It is also interesting that the study deems an average of 14% THC to be high potency cannabis. Throughout the USA and Canada, average THC content now exceeds 20%, sometimes as high as 35% and there is no reported increase in rates of psychosis. Finally, it has to be said that Dr di Forti is well known for her theoretical projections about cannabis use which can be quite alarmist. 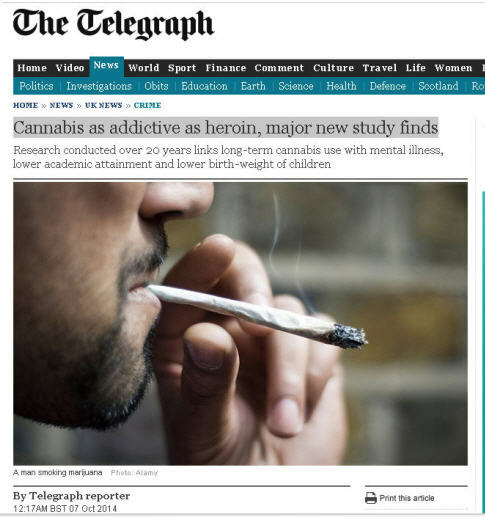 Thankfully, they have never been reflected in actual healthcare records and the number of cases of psychosis correlating with the use of natural cannabis in the UK remains very low, no more than a few hundred. There are many, very much more risky activities to be concerned about. What is certain is that the way safely to manage the risks of cannabis, even though they are so low, is in a legally regulated environment. In this case products are labelled so that the content is known, quality is maintained to a standard avoiding contamination and impurities and if anyone does experience problems they can seek help without having to confess to a crime. Age limits can also be enforced ensuring that children do not have the easy access to cannabis that they have, for instance, in the UK. ‘Skunk’ Drives Tabloids And Politicians Mad. Tom Chivers, Ian Dunt and Jonathan Liebling expose the dreadful reporting of the latest cannabis harms study from the husband and wife team of Professor Sir Robin Murray and Dr Marta Di Forti. The British tabloid press has long been engaged in the corruption of our society and successive governments’ ability to deal with drugs policy by its sensationalism, distortion and dishonesty. In fact the worst offender now is the Daily Telegraph, a tabloid in everything except format. It now eclipses the Mail newspapers for inaccurate, misleading and distorted reporting on all aspects of drugs policy. Its science and medicine writers are either deliberately engaged in deception or utterly incompetent. Virtually every story it publishes on drugs these days has to be retracted but you never hear about it because it’s buried in a tiny, tiny correction. The Mail newspapers can’t resist the stories about the miraculous medicinal benefits of cannabis because they make such good sensationalism. So although they still publish hogwash, like this latest distortion, they’ve actually become more balanced almost by mistake. Why is the British press so incompetent and/or malevolent on drugs? Is it anything to do with the £800 million pa that the alcohol industry spends on press advertising? I don’t know. Maybe it just likes to appeal to the fast dwindling band of bigots that actually buy newspapers these days. We are a laughing stock across the world for the idiocy of our press and government, particularly in respect of cannabis. In Canada and Israel, hospitals provide elderly patients with cannabis vapourisers on trollies, so strong is the evidence for its beneficial effects on aging and dementia. Here of course we prefer to let them lie in their own excreta while feeding them with scaremongering nonsense, distortion and exaggeration of scientific studies. Sugar, peanuts, hay fever remedies, aspirin, paracetamol and traffic fumes cause far more health harms than cannabis. In Colorado, in 2014, $44 million in cannabis tax revenue was ringfenced for schools and hospitals. Since legalisation, crime and fatal traffic accidents are down 15%, murder is down 50%. Far too sensible for Britain isn’t it? And it’s the work of our gutter press that prevents such progress here because politicians still give newspapers far too much respect.